Early Beginnings Multicultural Child Development Centre is a full-time childcare program that provides high-quality childcare to the Ottawa community. Early Beginnings is committed to providing the highest-quality childcare, education, and work/life solutions for families in Ottawa. We strive to remain at the forefront of early childhood education, and to always ensure a welcoming environment that's respectful of the diversity that exists within our center. 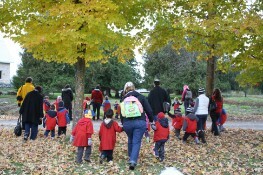 Orginally founded as the 'Ottawa Jewish Daycare', Early Beginnings maintains the Jewish character of its founding institution by highlighting Jewish culture in daily lessons and activities and serving kosher food. Priding ourselves on the multi-cultural nature of our program, we also celebrate the holidays and traditions that are important to our students from the broader, non-Jewish community. Our goal is to ensure happy children, satisfied parents and high-quality staff in a respectful and healthy environment. 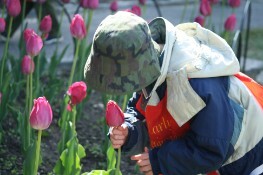 Early Beginnings supports the belief that young children learn through action. We believe that a positive environment for learning is one that exercises and challenges the developing mind of each child. We help every child in our care strive to meet their full potential. As teachers in the field of Early Childhood Education, we view our role as supporters in all aspects of child development; encouraging children to express themselves as individuals and to demonstrate respect for others. Our program considers the total growth of a child; social, emotional, physical and intellectual. Activities that develop the social, emotional, physical and intellectual characteristics of each child are central to our programming.